Following his training in Cuba, he participated extensively in competitions worldwide, winning seven medals, four of which were gold. He was a member of the National Ballet of Cuba under the direction of Alicia Alonso. Ramon later joined the Classical Ballet of Havana under Laura Alonso, Alicia Alonso's daughter and toured internationally. 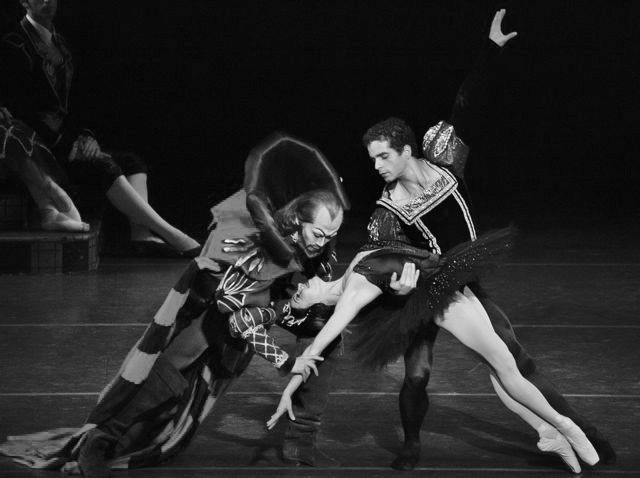 Through his participation in the 1998 IBC in Jackson, Mississippi he was awarded a contract with Cleveland-San Jose Ballet under the direction of Dennis Nahat. In 2000, he followed the company to San Jose until his retirement in 2014. His repertoire includes Apollo, Carmen, Who Cares? The Four Temperaments, Flower Festival at Genzano, Giselle, Romeo and Juliet, Coppélia, Don Quixote, Swan Lake and Involucion. He won an Isadora Duncan Award for Outstanding Performances for the Ballet San Jose 2008-2009 season. Mr. Moreno was on the faculty of Ballet San Jose School's Summer Intensive Program, as well as a number of Bay Area ballet schools including Santa Clara Ballet and Bayer Ballet Academy. Mr. Moreno, Artistic Director and Founder of the Ramon Moreno School of Ballet, is currently teaching the Youth Program as well as Open classes. He is a gifted, inspiring instructor who is is highly sought after for coaching and training for competitions and performances by aspiring professional dancers as well as serious ballet students of all ages. Amy Marie Briones began her career with San Jose Ballet in 2006 and was promoted to Soloist in 2012. She received her training at the Ayako School of Ballet. Since joining Ballet San Jose, Ms. Briones has performed principal roles such as Kitri in Don Quixote, the Grand Pas de Deux in Paquita, Myrtha in Giselle, as well as principal roles in Jorma Elo's Glow-Stop, Balanchine's Allegro Brillante and Sir Frederick Ashton's Les Rendezvous. Ms. Briones has also received awards in ballet competitions from coast to coast, including Youth America Grand Prix and the USA International Ballet Competition. Born and raised in Bangkok, Thailand, Ommi received her early ballet training in her homeland at Varaporn-Kanchana Ballet School. At age 15, she was offered a full scholarship to study at the prestigious Royal Ballet School in London. Ommi proceeded to become the youngest person to win a gold medal at the Adeline Genèe International Competition in 2001. While at the Royal Ballet School, Ommi excelled and was selected to perform in many productions. In her graduate year, she was chosen to represent the RBS and the UK at international galas in Milan and Moscow, performing Sir Kenneth MacMillan’s Concerto Movement. In 2004, Ommi joined the San Francisco Ballet as one of its youngest soloist. She went on to perform many roles such as Snow Queen and Sugar Plum Fairy in The Nutcracker, Lilac Fairy and Fairy of Tenderness in Tomasson’s Sleeping Beauty, Pas de Trois and Swan Maiden in Swan Lake, and Rosaline in Romeo & Juliet, among many other roles. Ommi joined Ballet San Jose in 2012 and was promoted to Principal dancer under the direction of Jose Manuel Carreno. Her principal roles include Mercedes and Queen of the Dryads in Wes Chapman’s Don Quixote, the Dark Angel in Balanchine’s Serenade, and many more. In addition to her professional dance career, Ommi has served as ballet master at Bay Pointe Ballet. Ommi is a certified teacher in Power Pilates Mat Core 1 & 2 and has completed the ABT Teacher Training Intensive in the Pre-Primary to Level 7 curriculum. She has taught in many schools in the Bay Area, as well as, choreographed and performed in short dance films. Born in Pinar del Rio, Cuba, Maykel Solas trained at the Escuela Provincial de Arte, and graduated from the Escuela Nacional de Arte in Havana. He studied under renowned Cuban ballet teachers Alicia Alonso, Loipa Araujo, Josefina Mendez, Orlando Salgado, Martha Garcia and Jose Luis Zamorano. At seventeen, after winning a silver medal in the Ballet Competition of Havana, Maykel joined the Ballet Nacional de Cuba. In 2001, he moved to South America and won another silver medal in the 12th International Ballet Competition of Trujillo in Peru. 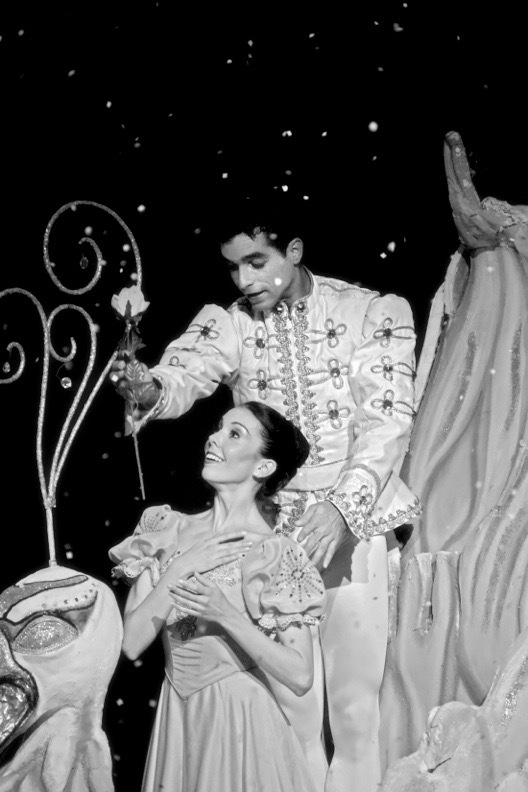 Maykel became a Principal Dancer with the Ballet Nacional del Peru and Ballet Municipal de Lima, where he performed leading roles in numerous classical and neoclassical ballets. In 2005, Maykel joined San Jose Ballet, where he danced for over a decade with an illustrious career as a Principal Dancer. His favorite roles include Albrecht in Giselle, Siegfried in Swan Lake, as well as leads in La Bayadere, Le Corsaire, Romeo and Juliet, Carmina Burana and Dennis Nahat’s The Nutcracker. Alex Kramer was a member of American Ballet Theatre's Studio Company for the 2011/2012 season and performed with ABT II on its 2011 European tour, where he danced ctv's Interplay, George Balanchine's Allegro Brillante, and Antony Tudor's Continuo. Alex joined San Jose Ballet in 2012 and has danced lead roles in Sir Frederick Ashton's Les Rendezvous and Jerome Robbins’s Fancy Free. Born in Grand Junction, Colorado, at the age of 7 he began his training at The Institute of Dancing Arts. He has also trained with Jean-Philippe Malaty, Executive Director of Aspen Santa Fe Ballet. He participated in the Denver Ballet Guild Young Dancer's Competition from 2004 through 2009, and in 2009 was awarded the Florence Ruston Award for Overall Excellence. Afterwards, he began training at the Jacqueline Kennedy Onassis School at American Ballet Theatre in New York City. In 2010, Alex became the first recipient of the David Hallberg Scholarship.